EXCLUSIVE! 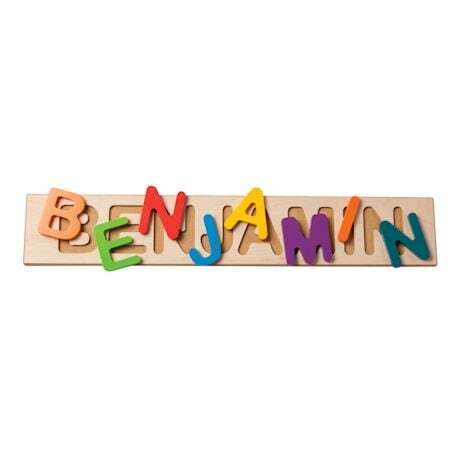 These puzzles are a interactive (and attractive) tool in helping your children learn to spell their names. Each letter is individually crafted in eye-popping color combinations. 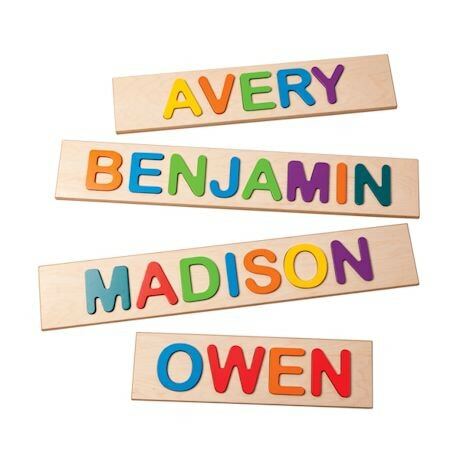 Name puzzles reinforce reading skills, memory, color, letter recognition and many more developmental milestones. Specify name up to 9 characters. Please allow 2 weeks for delivery. Letters measure 3"H. Base is 4½" H. Item can only be shipped within the Continental US.